A completely new approach for reports, designed from the ground-up - RanceLab® FusionRetail™ 6 reports are ultimate tool for organizing and analyzing your business data. The report's main functionality is in its ability to summarize large amounts of information, and represent it in a register and cross-tabulated form. 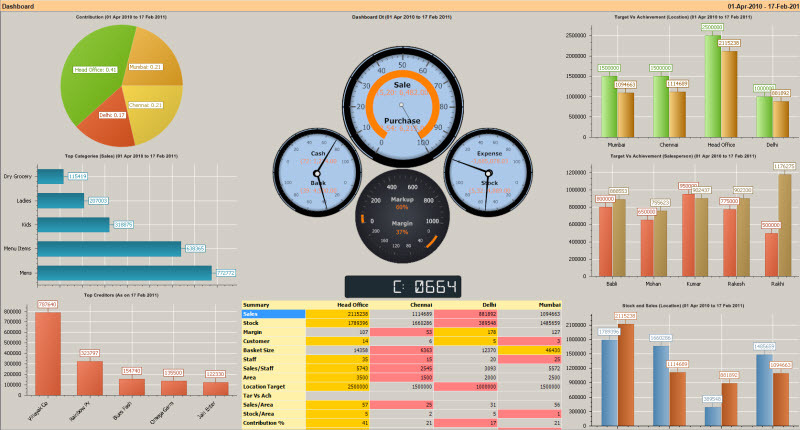 So, it is the best tool to create financial, stock and statistical reports. 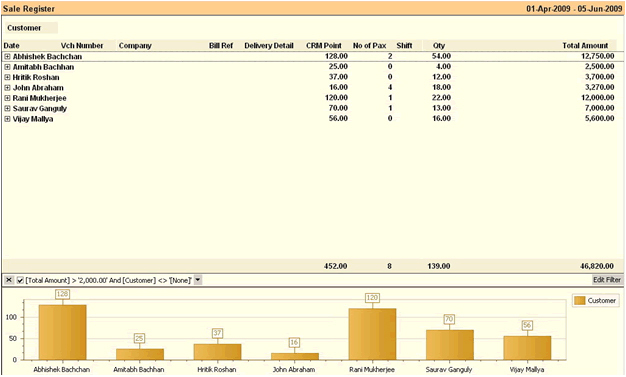 For instance, you can analyze sales during specific periods (years, quarterly intervals, months) for each customer or each product category, or you can create a report which will show the top 10 customers, by items purchased. Another example is a report that displays the most or least popular products. 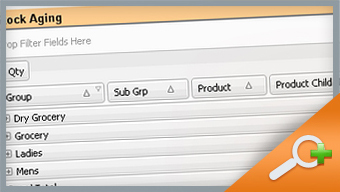 These reports allow you to easily reorganize the layout using drag-and-drop. As a result, the business data will be re-summarized according to the new layout of the column and row fields, so you can easily alter a report to display the information they need in the way they need it. 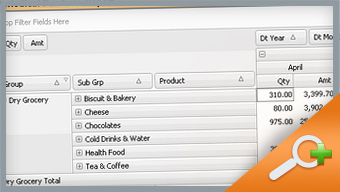 The report window provides a spreadsheet style access to all data maintained by the RanceLab® FusionRetail™ 6. For those of you familiar with Microsoft Excel, this report is very similar. All reports have full query (SQL) capabilities so you can view, customize, filter and group your data and design the reports you need. The report window lets you design views by simply dragging the columns into the order you want, then removing the columns you don't want. 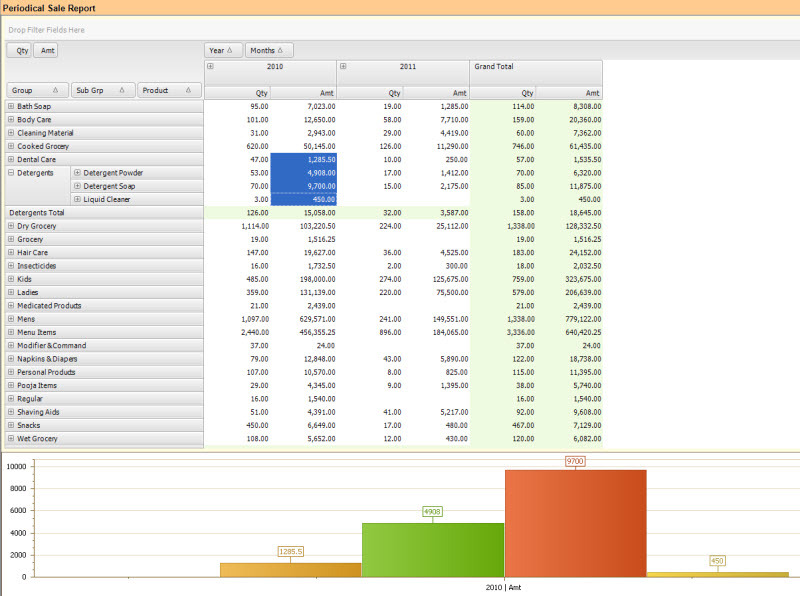 It allows you to perform a smart search within the report. After a report is designed, that view can be saved and recalled whenever necessary. These reports are converted to pivot format and vice versa. All the reports are available for export in Excel, Text, PDF, HTML, RTF and CSV for integration with any third party application. 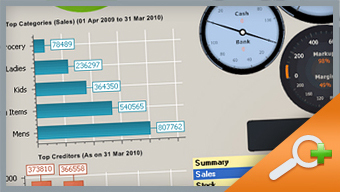 These reports are further converted into a data cube and can be viewed on RanceLab® FusionRetail™ 6 interface without SQL Database. There is virtually no limit to the number of views you can design. 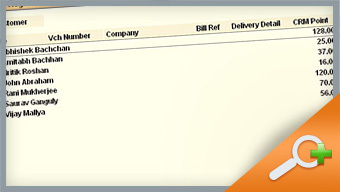 RanceLab® FusionRetail™ 6 comes with many common reports already pre-designed. As the saying goes "A picture is worth 1000 words", RanceLab® FusionRetail™ 6 analysis reports have graph for quick and on-time decision.